is to be a time of troubles. with no respect for parents. The text for this work is from 2 Timothy 3:1-2. 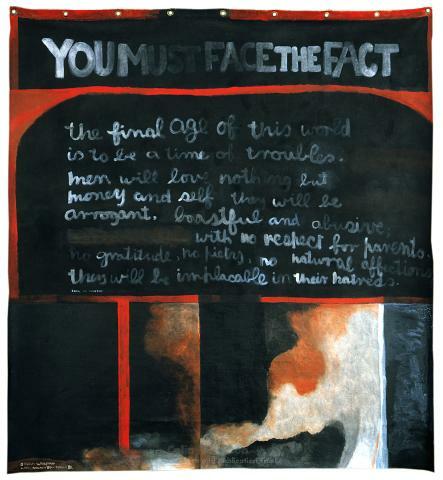 Storm Warning was given to Victoria University of Wellington by the artist in 1981. It was sold by the university in 1999, amidst considerable controversy.